There was no summer houses in Nykøbing - In stead we shows summer houses in the neighbour villages to Nykøbing. 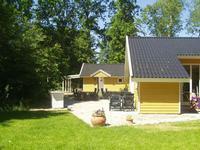 120m2 cottage, 5 bedrooms and open loft with couch. Large kitchen/ lounge and 2 bathrooms. All appliances. Fibre broadband. Undisturbed garden and large terraces. 12 sleeping spaces in the house. Optional rent of annexe that sleeps 8, i.e. max 20 people. 12 persons 6 bedrooms Dishwasher Washing machine Sauna Woodburner Pets OK Distance to beach: 300 m.
Between Dybesø and Korshage. 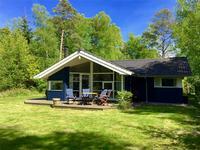 Lovely, little cottage for 4 people on nature site with preserved moor and views of lake and meadow towards Kattegat. 4 persons 2 bedrooms Woodburner Pets OK Distance to beach: 300 m.
Charming, exquisite cottage 88m2, 6 persons. Child-friendly nature area at plantation. Super beach. Dybesø and Rørvig harbour. Idyllic, alleys, cafés. Allergy-friendly. 7 persons Woodburner Distance to beach: 1000 m.